Keeping safe online is an important message that we regularly give to our children. The world is becoming more reliant on, and introducing more forms of technology all the time. This is exciting, however also opens up further potential risk for those who are not informed of how to keep themselves safe online. We link with our local PCSOs on e-safety, regularly inviting them to come into school to supplement the messages that we give in assemblies and in class. We regularly communicate with parents and give messages on supervising their child’s online activity and censoring what they may access. We have ‘Be Safe’ weeks throughout the year. We take E-Safety very seriously at Sandy Lane Primary School. http://www.bbc.co.uk/cbbc/topics/stay-safe or click the link below. 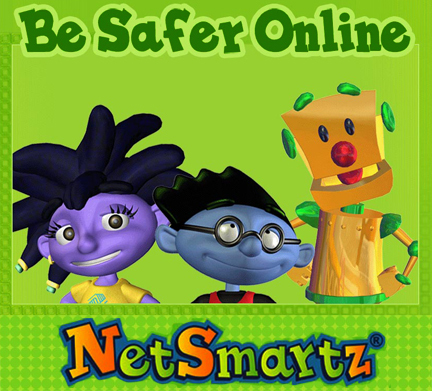 Interactive games, stories and songs for children about staying safe on the internet. 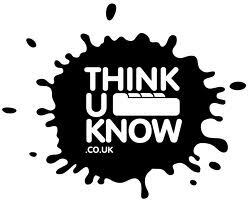 www.thinkuknow.co.uk/8_10/ or click the link below. Try the Cyber Cafe and learn all about safety in chat rooms, on email and SMS/Text messaging. When you’re done, take the interactive test to see how much you know. www.digizen.org or click the link below. Information for Educators, Parents and Children on Digital Citizenship. There are some very useful resources on subjects including Social Networking and a great Family agreement to download and print http://www.digizen.org/digicentral/family-agreement-print.aspx. https://uk.safely.yahoo.com/ or click the link below. Safety tips for protecting your privacy online. www.kidsmart.org.uk/ or click the link below. www.netsmartz.org or click the link below. Resources designed to help teach children how to be safer on & offline. Designed for childern aged 5-17 years. www.ikeepsafe.org or click the link below. Includes safety, security and ethics tools and resources for helping families and educators teach children to use the internet safely and wisely. 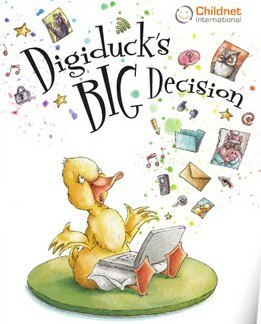 www.kidsmart.org.uk/teachers/ks1/digiduck.aspx or click the link below. A story of friendship and responsibility online for KS1 children. www.saferinternet.org or click the link below. Site of the European Union’s Insafe network, a part of the EU Safer Internet Plus programme. http://www.parentport.org.uk/ or click the link below. Seen or heard something unsuitable for children? Maybe it was a programme on TV or online, a film, an advert, a video game or something in a magazine. At ParentPort you can find out about the standards expected from the media, make a complaint and share your views. http://www.vodafone.com/content/parents.html or click the link below.